It was not so long ago when the only remedy for sagging skin and age-related issues on the face and body was extensive invasive surgeries, followed by tuck-marks and a prolonged recovery period. Treatments were very costly, not to speak of the fear of the ordinary person to go under the surgeon’s scalpel. In the last decade, there have been revolutionary changes and innovations in the beauty care sector. Most procedures are non-invasive and non-surgical, affordable and most critically, without any downtime. Each treatment session is completed within an hour on the average, and the patient can get back to the usual routine almost immediately after. One of the path-breaking innovations has been HIFU – High Intensity Focused Ultrasound – a procedure that targets various depths of the tissues in the body leading to skin lifting, skin tightening and body contouring. Here is a lowdown of HIFU face lifting and its many benefits. HIFU is a very effective method to treat sagging skin around the brows and forehead, chin, neck, stomach, and other stretch marks. It is a non-surgical method where ultrasound energy is targeted at the area under treatment from a HIFU machine. This stimulates the skin and boosts production of protein collagen which is a crucial component of muscles, tendons, ligaments, and skin. Low collagen volumes as people age results in sagging skin, fine lines and wrinkles. As collagen production increases with HIFU treatment, these aging processes are partly reversed, making for taut, elastic and rejuvenated skin looks and texture. The process pushes mature and aged skin to start working hard again. Brows look more lifted, deep lines on the face are softened, and the eyes look more open. The skin feels softer and suppler too. Some of the conditions that are reversed with HIFU are loose neck folds, sagging eyelids, fine lines and wrinkles, drooping around the mouth, minor redness and dryness and uneven skin tone and texture. With this optimized ultrasound therapy, it is possible to tone loose and sagging skin and lift muscle without any downtime, one reason why it is often referred to as “lunchtime facelift”. HIFU is an ultrasound process that mainly targets the deep foundation below the skin. The same process is addressed in surgical procedures, but then, that needs cutting and incisions to the skin. It is a very advanced ultrasound imaging treatment. The advantage here is that it is possible actually to see the layers of targeted tissue during treatment. This aspect ensures that the energy is deposited precisely and accurately in places on the body where it is intended to stimulate collagen production. As a result, the skin will in due course begin to lift and tone for a rejuvenated look. 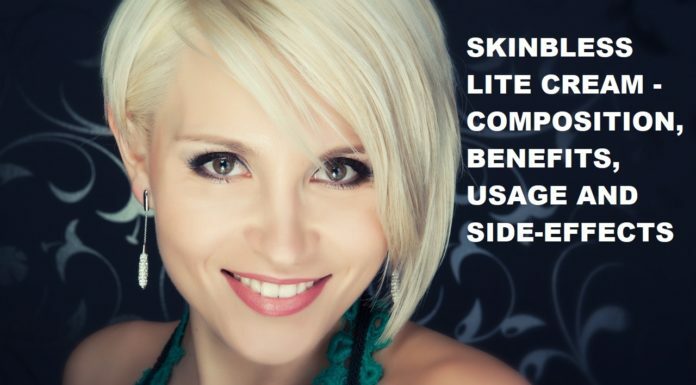 HIFU and laser skin rejuvenation technologies are complementary. Lasers address issues more on the superficial layers of the skin like acne marks, birth spots, hyper-pigmentation, and fine lines and wrinkles. HIFU works on the skin layer at depths which in the past required cosmetic surgery to support and lift the skin. How Does HIFU Equipment Function? Salon owners and beauty care centers looking for a HIFU machine for sale to take their business to the next level should know how the devices function. State-of-the-art and technologically advanced HIFU equipment has five heads – 1.2mm, 3mm, 4.5mm, 8mm and 13mm that operate accurately at just the required depth so as not to damage the epidermis. These heads contain an automatic motor that can adjust the ultrasound waves to the right depth and hence work well on a range of skin tones and colors. A full-face treatment on a HIFU machine takes about 45 to 60 minutes and a partial facial therapy about 30 minutes, both without any downtime. A good candidate for HIFU is a person who has “relaxed” skin that is not firm and elastic. The first signs of a matured skin are often sagging skin on the eyelids or a lowered eyebrow line. Generally, those in the thirties and above go through these changes and are good candidates for this ultrasound therapy. However, HIFU is not a substitute for surgery, and those needing some form of a facelift without the elaborate process of surgery can opt for this process. Candidates looking to extend the effects of cosmetic surgery should go for this treatment too. When are Results of HIFU Visible? Patients who have been through treatment on a HIFU machine find some fundamental improvements, but the actual results are visible after 2 to 3 months. This is because time has to be given to the tired collagen to be replaced with fresh and more elastic collagen. It might take up to six months for the skin to look young and rejuvenated again after HIFU therapy. It is necessary however not to treat HIFU as a one-time process and continue future touch-up treatments, the duration of which will vary between individuals. This then is a lowdown on HIFU beauty care treatments.